Sync, charge, store, secure and transport up to 20 iPad, iPad Air, iPad mini and other Tablet devices. 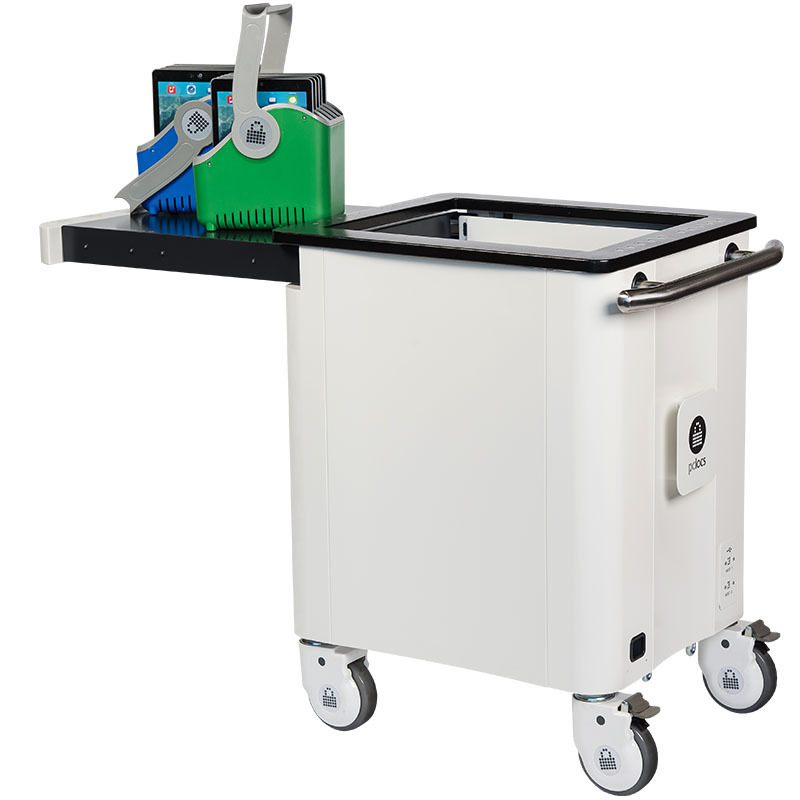 PC Locs iPad Carts are equipped with Baskets to make devices deployments faster and easier. Efficient syncing. The iQ 20 Cart can sync 20 devices simultaneously. Our top of the line syncing technology seamlessly integrates with Apple Configurator and other syncing software. Efficient charging. PC Locs power management ensures that the right amount of power is distributed to devices when charging. The iQ 20 Cart can charge 20 devices simultaneously. It even charges during the syncing. Small footprint. Being compact in size, the iQ 20 Cart is easy to transport and manoeuvre around tight hallways when its needed fast. Baskets by PC Locs make device deployments faster and safer, so that Teachers and IT Administrators can focus on creating an engaging learning environment. Compatible. Universal design and functionality makes it compatible with all iPad models and almost any Tablet that supports USB syncing and charging. Secure. After a day of use, lock the sliding top lid and attach the heavy duty anchor kit to secure the Cart while its not in use. Designed to go where others cant. 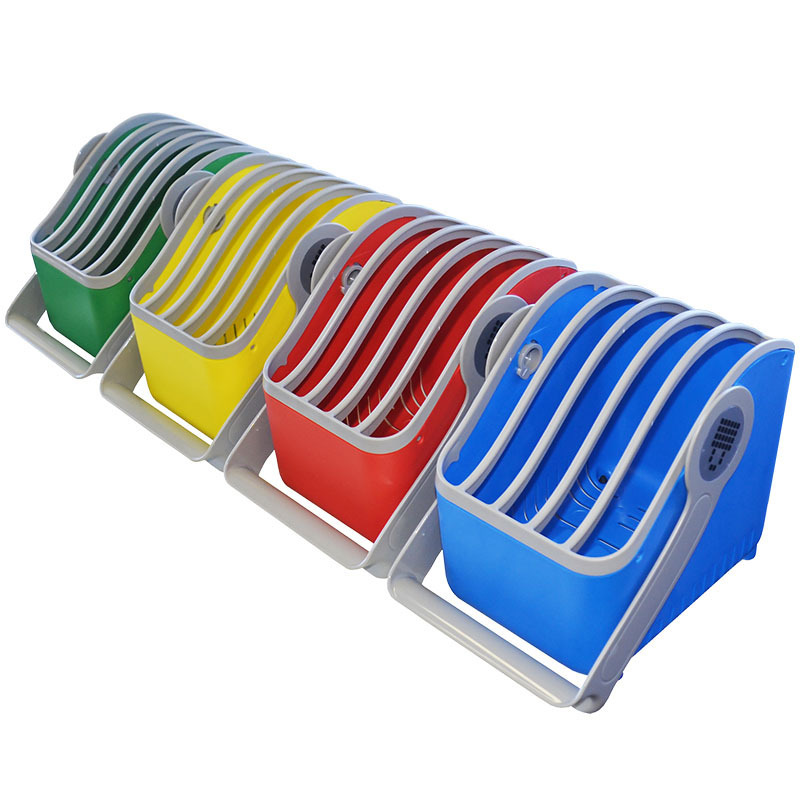 Baskets by PC Locs allow you to share and safely distribute the devices that are stored in the iQ 20 Cart, between multiple classrooms. They also enable students to assist in the distribution of devices, so teaching can happen faster. 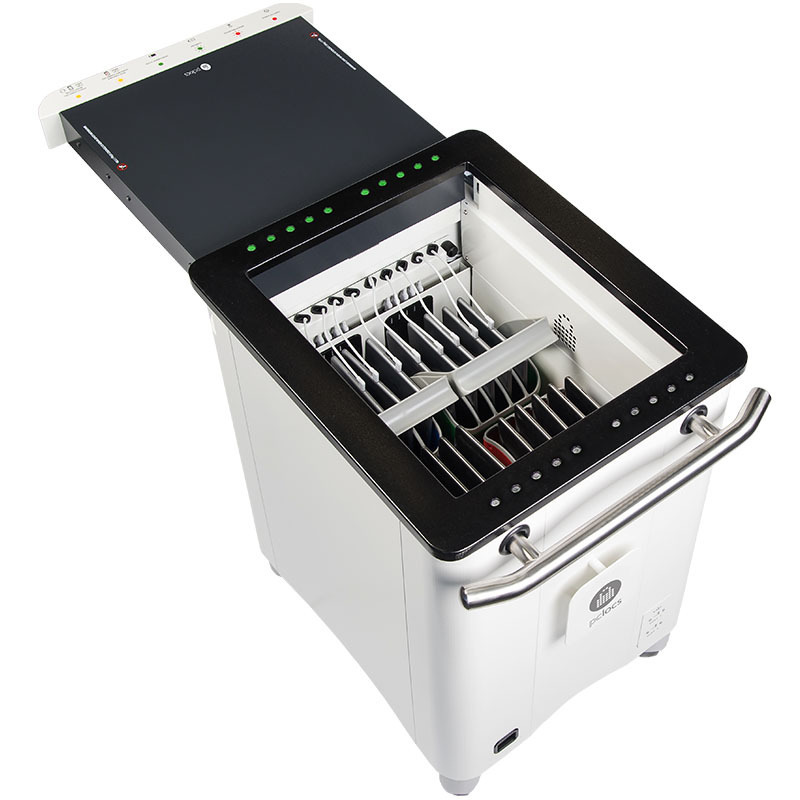 The Baskets are interchangeable with other PC Locs Carts that use the same Basket ecosystem. Devices and cases. Baskets by PC Locs are designed to accommodate Tablet devices with or without cases. Secure soft closing, sliding lid. Doubling as an additional workspace, the soft closing lid can hold up to 25kg of additional resources when extended. LED status indicators. Know the charging and syncing status of each device while theyre connected to the iQ 20 Cart. With a built in legend on the sliding top lid, youll never wonder what an indicator light means. Highly Secure. Our heavy-duty construction and a two-point locking system protects your valuable device investment when theyre not in use. Additionally, an anchor kit is included so that the Cart can be secured in one location. Secure syncing or charging! With two external USB host ports, you can sync and charge your devices while they are secured safely in the Cart. Quality finish. Equipped with all the extras that make it stand out from the rest, including a stainless steel handle, locking mechanism and oversized castors for smoother rolling. Additional delivery charges will apply to delivery addresses more then 100km from a capital city and all address within Tasmania and NT. Please contact us for a quote.